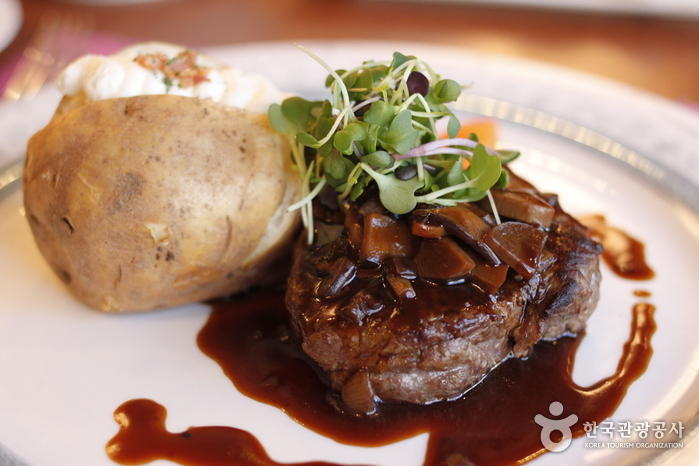 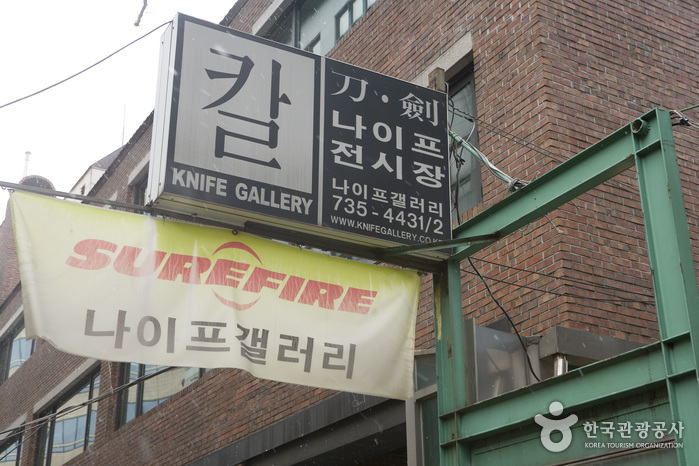 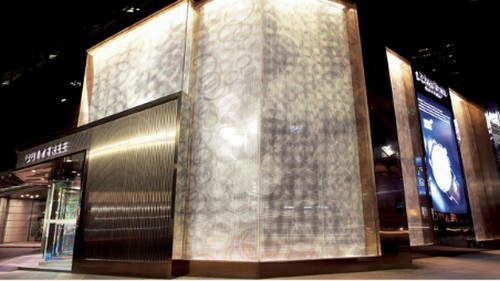 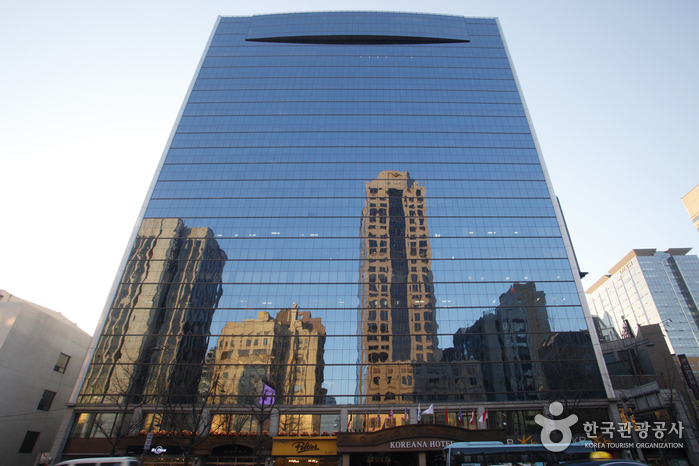 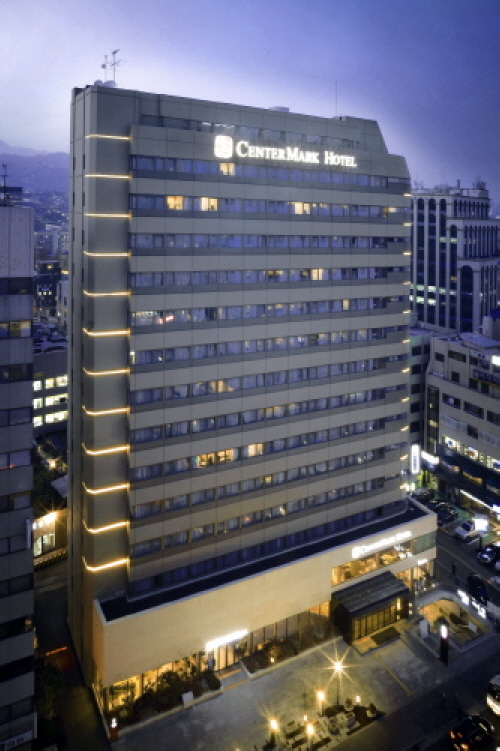 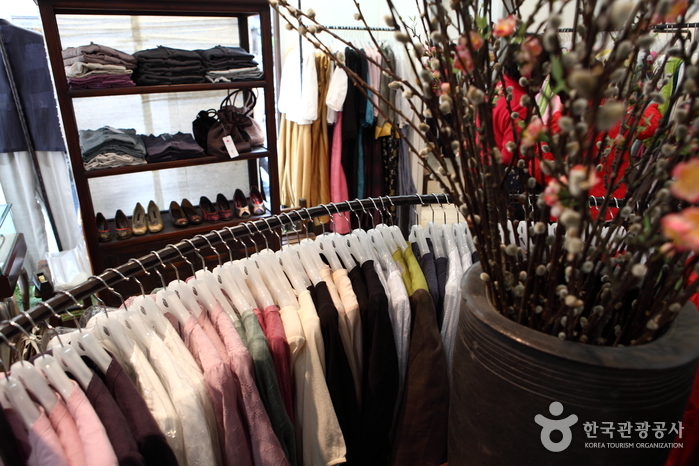 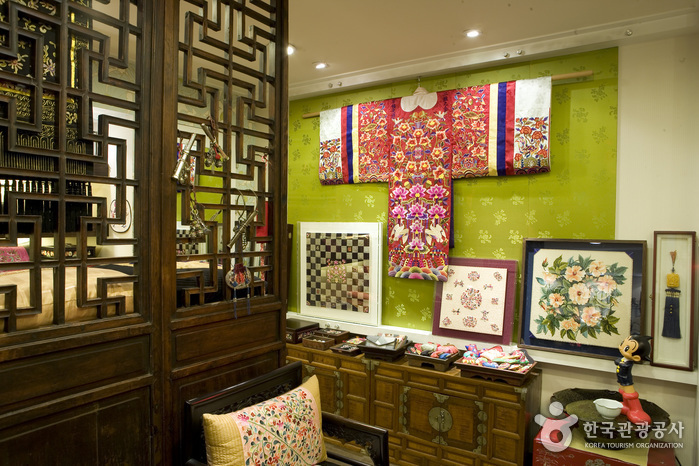 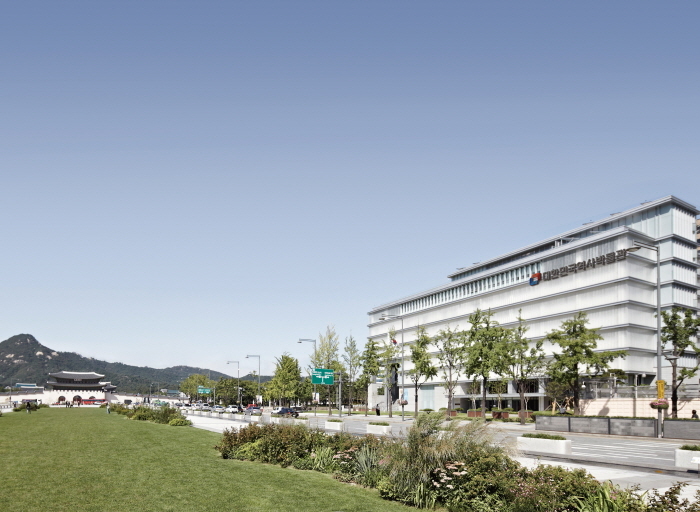 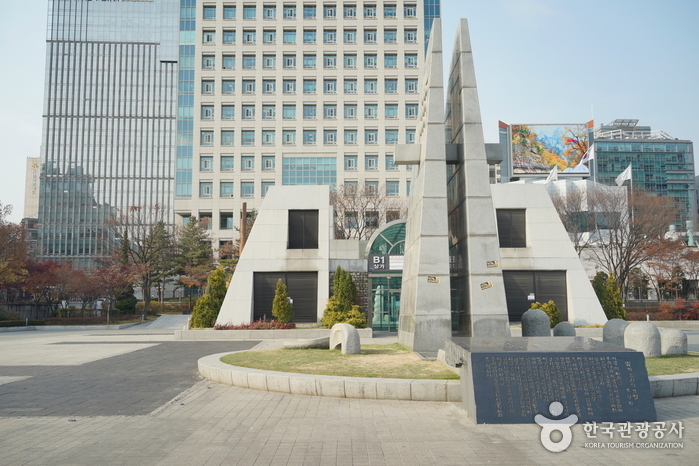 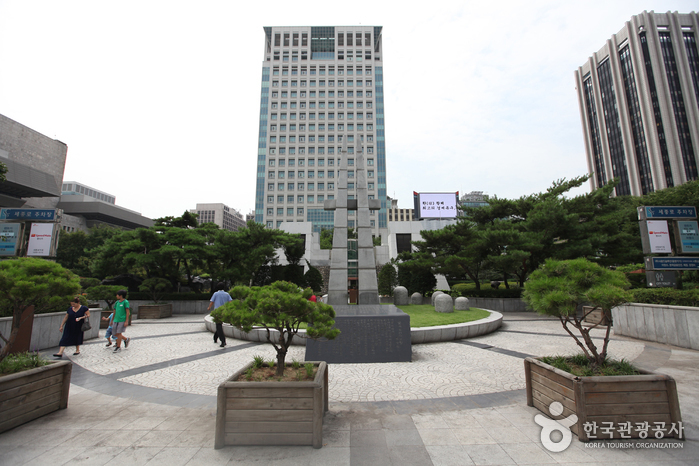 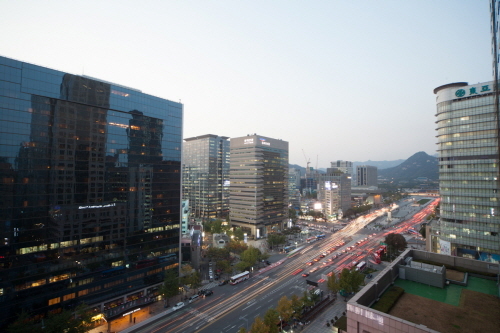 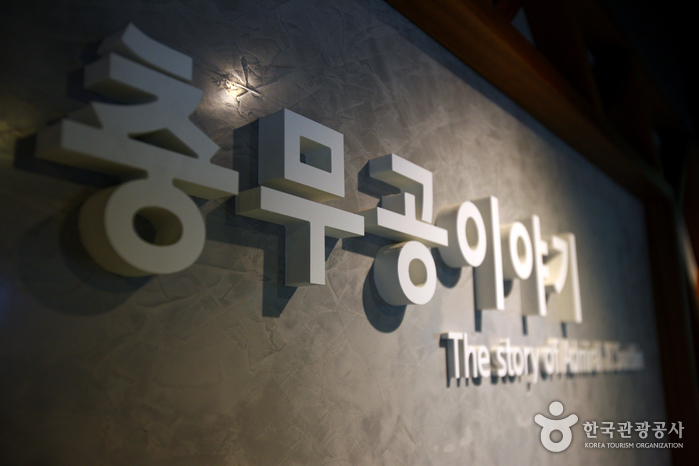 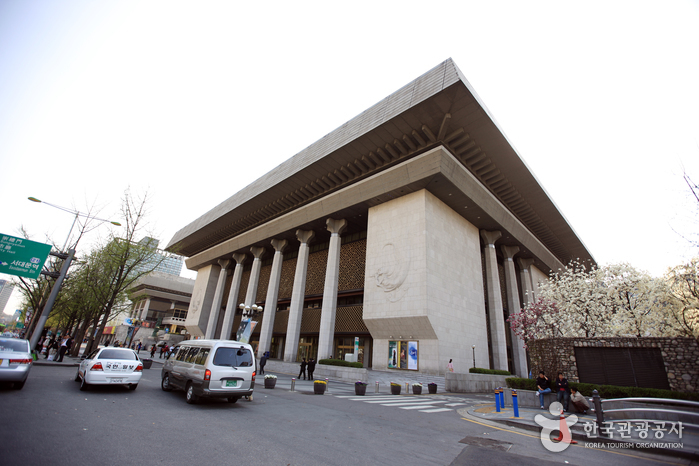 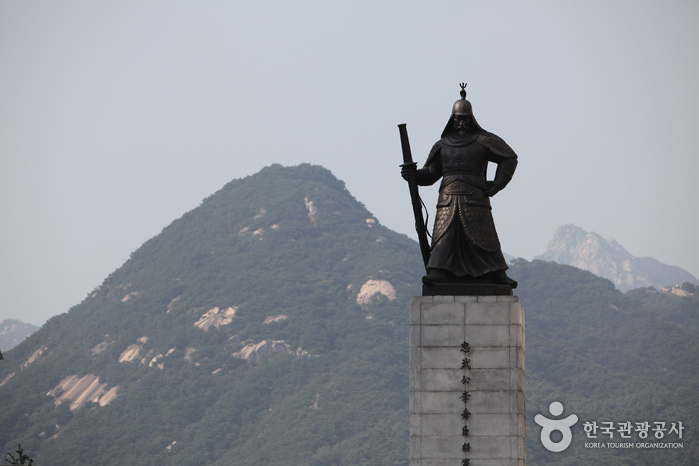 Sejongno Park is located next to Sejong Center for the Performing Arts in central Seoul. 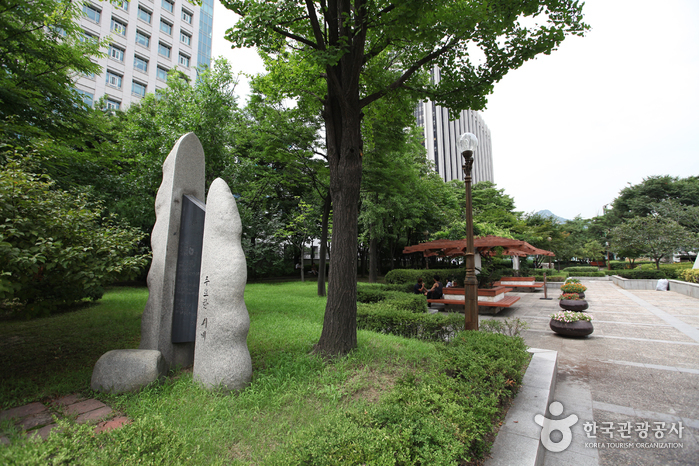 Inside the park, there are wooden benches and shaded areas where people can sit and relax. 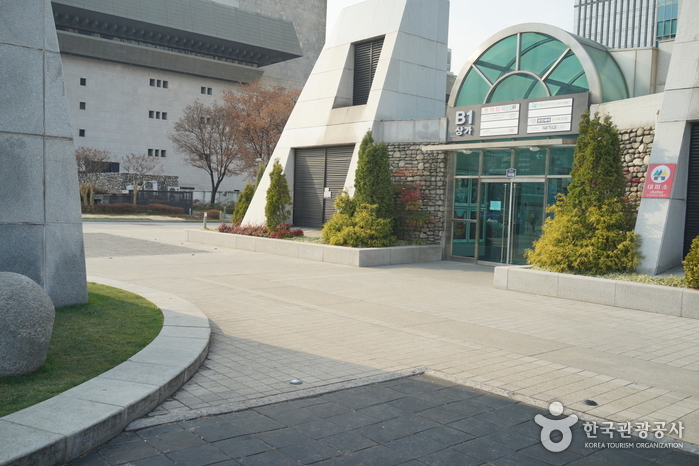 Also available are water fountains, a round outdoor stage, and various sculptures. 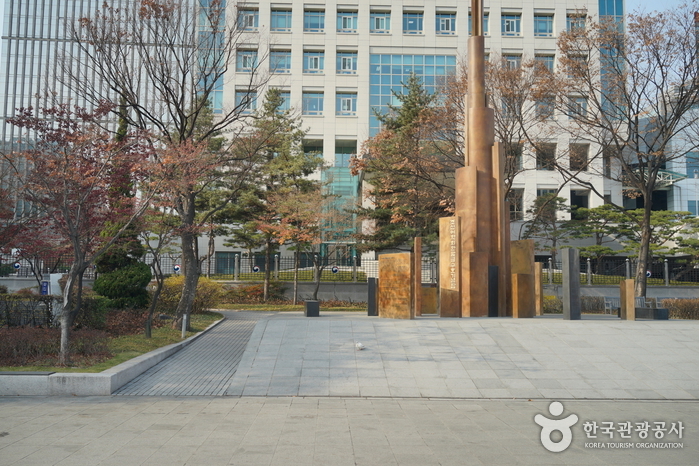 The lunch crowd from the nearby office buildings often come to the park during the weekdays. 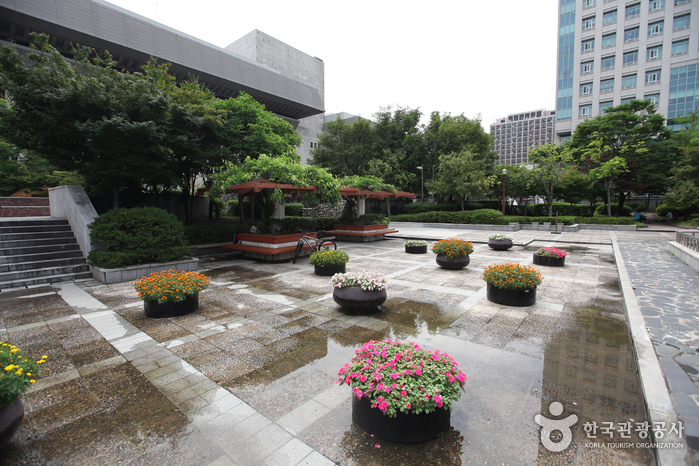 On the weekends, the park is also used as a venue for outdoor weddings. 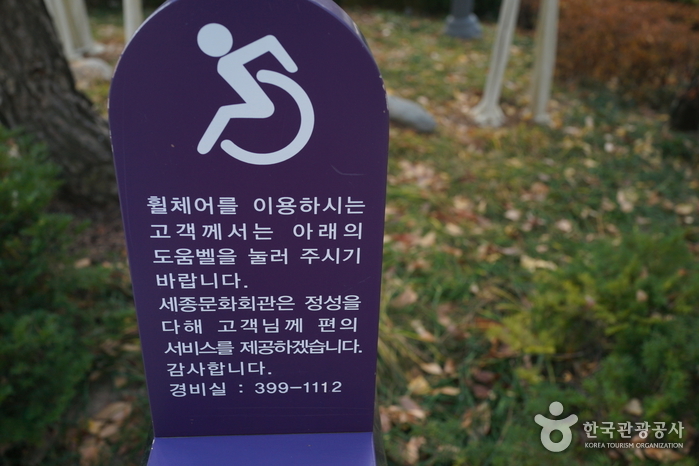 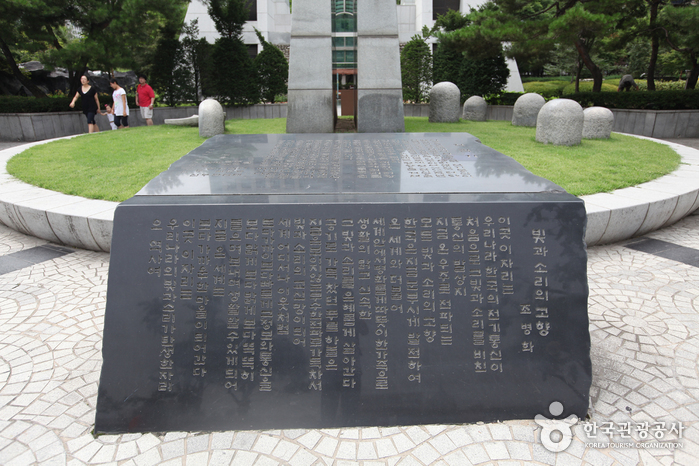 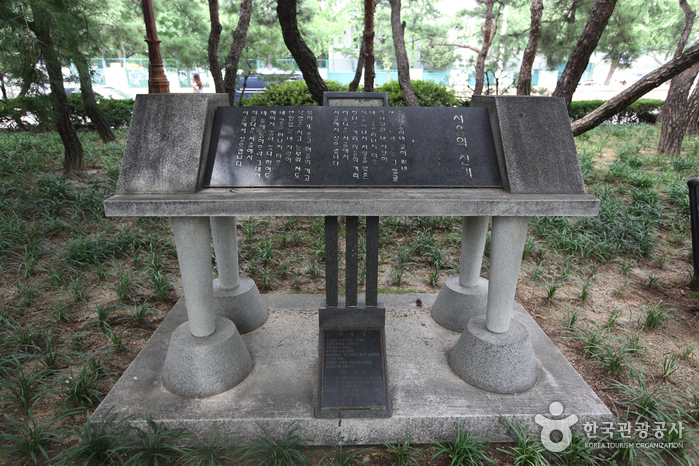 Seoul's anthem and the poem "Bulnori" by Ju Yo-han are written on a memorial stone that can be found inside the park. 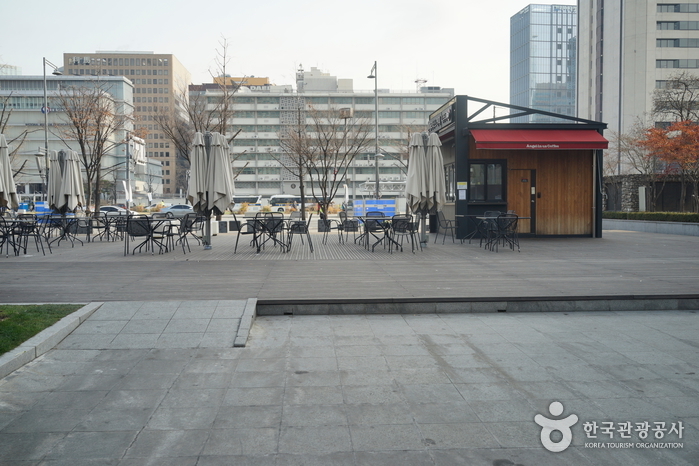 Outdoor stage, snack bar, design parasol, outdoor tables, etc. 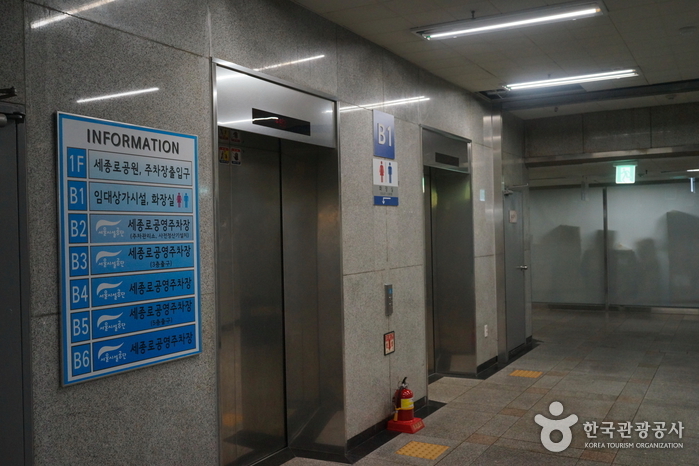 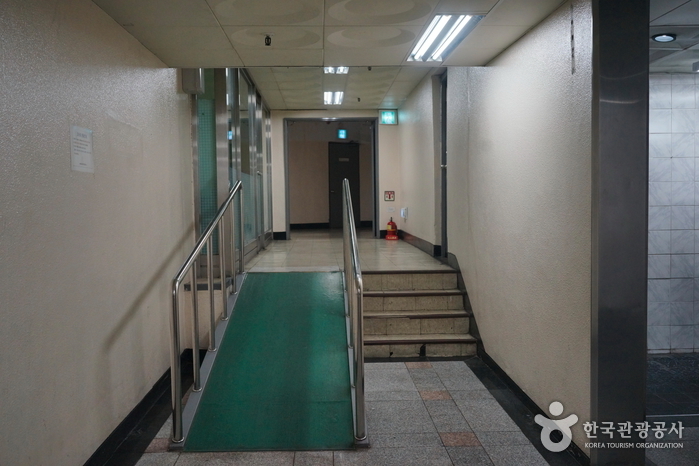 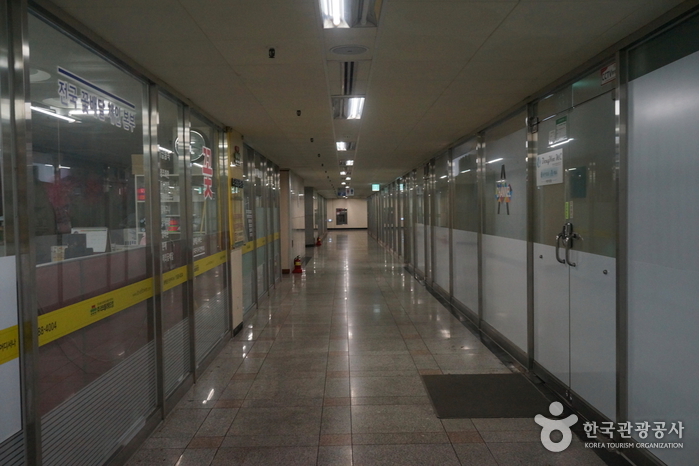 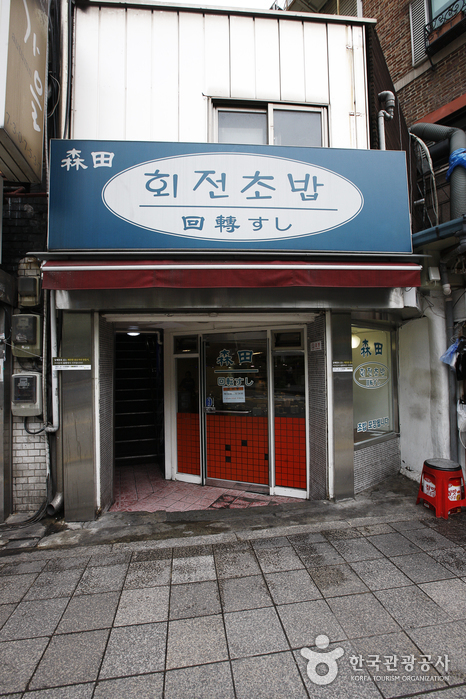 Gwanghwamun Station (Seoul Subway Line 5), Exit 1 or 8. 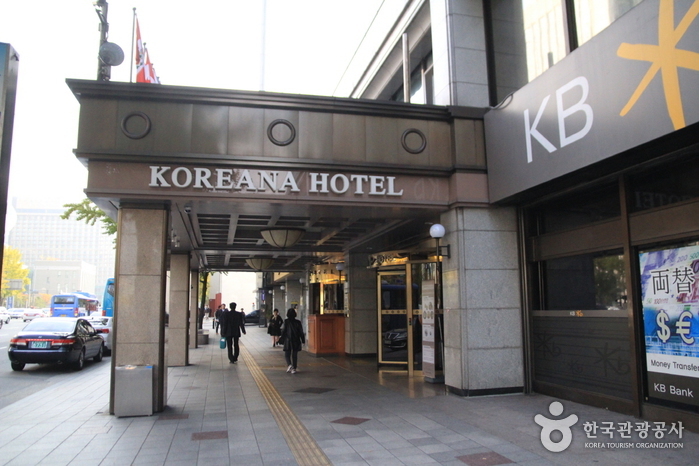 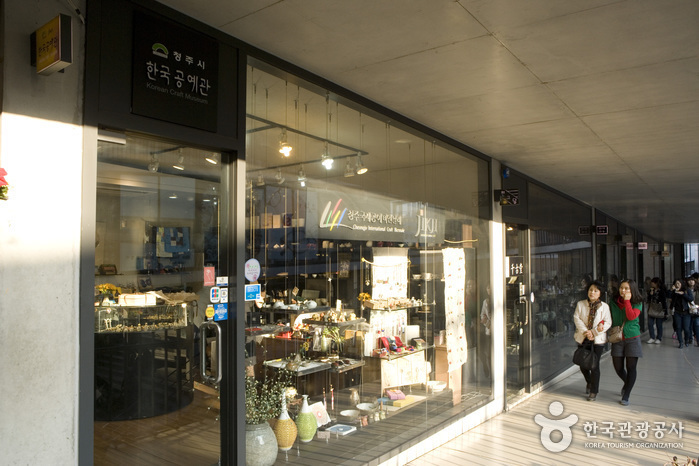 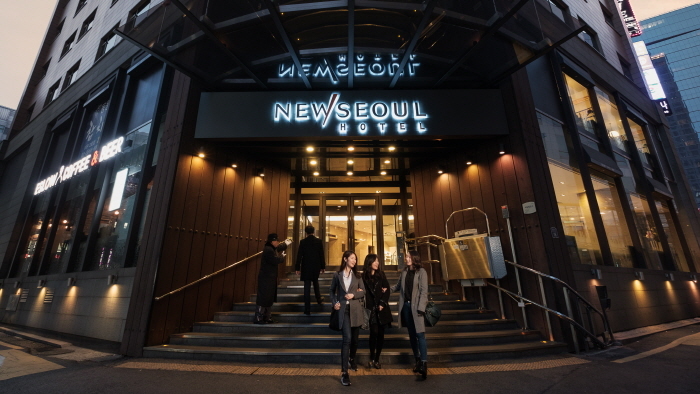 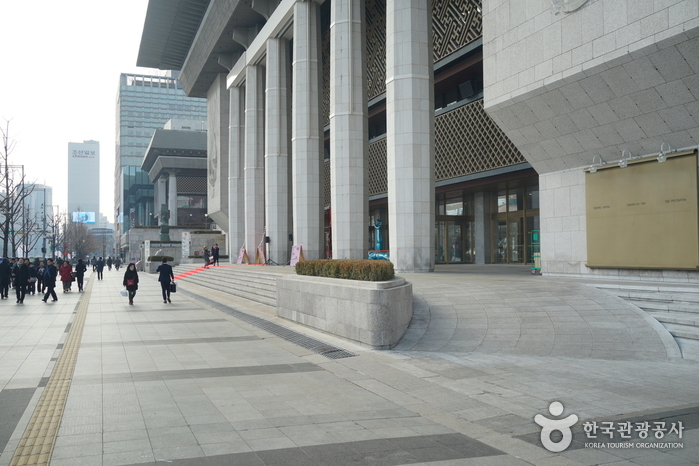 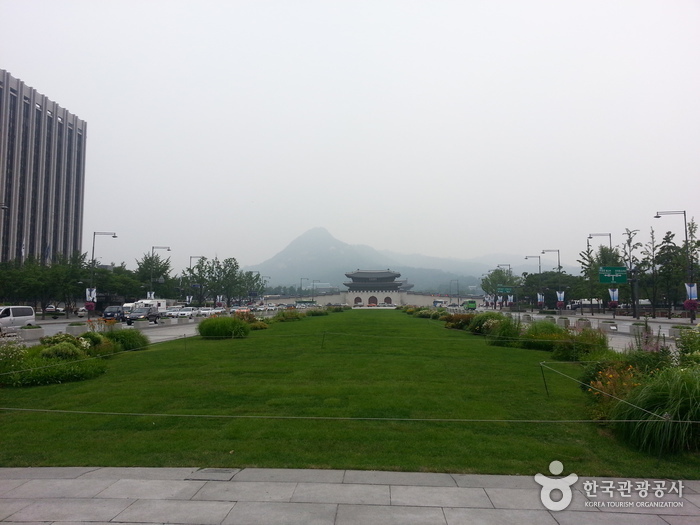 Walk toward Sejong Center (the park is located next to Sejong Center).